In a large bowl, cream together the butter and brown sugar until smooth. Beat in the eggs one at a time, then stir in the vanilla. Combine the flour, baking soda and salt; stir into the creamed mixture. Mix in the oats, chocolate chips, vanilla chips, butterscotch chips and chopped pecans. 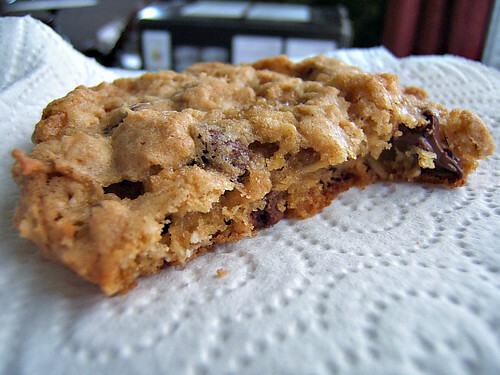 Drop by tablespoonfuls onto ungreased cookie sheets. Cookies should be at least 2 inches apart. No comments for: "Kitchen Sink Cookies Recipe"